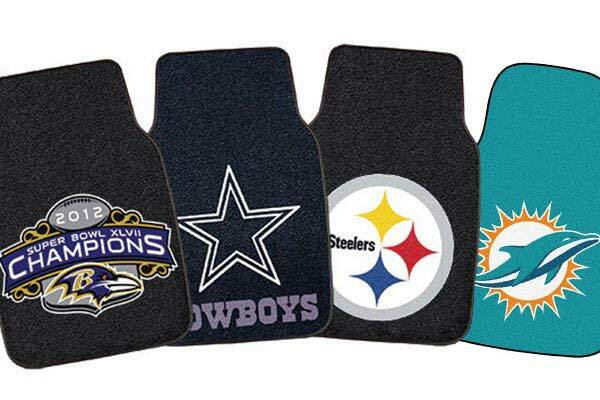 FANMATS 5724 - FANMATS NFL Carpet Floor Mats - FREE SHIPPING! I was very pleased with the mats that I received. These are very well made and nicely finished. The price is right for logo gear. Purchased as a christmas gift. They were very well liked. Your Fanmats NFL carpet floor mats are very attractive,and were an excellent fit on my Camry.The design and material are better than I expected. 6 of 12 people found the following review helpful. A little late arriving, but they looked pretty good and made a fan happy. Brought the COWBOY'S NFL mats for my wife's Genesis. She was very pleased with the qualitly of the mats and the deep blue color. Commented on the backing of the mats with deep claws to hold them in place. I was very happy with my Dallas Cowboys floor mats. 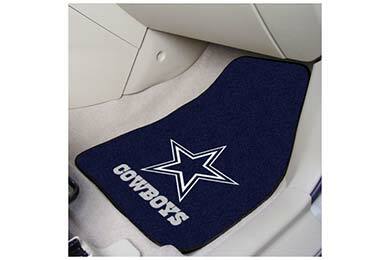 I couldn't find a good price for Ford Mustang floor mats, so the Cowboys was the next best thing. The reviews on your website really sold me on this product. It was just what my Mustang needed. Very pleased with my new NFL Mats and have spoken to others that would like to have the same. My husband is the ultimate Cowboys fan...we recently purchased a new vehicle and these new Cowboys floor mats were a great addition! He is very excited and already requesting more accessories in time for the football season. Thanks for helping me keep my hubby happy! I purchased the cowboys for my husband. They arrived very fast and we were very happy with them. The quality is very nice. I like the Cowboy Mats very much, but wish there was a choice on the colors. I recently bought seat covers that were black and would have liked to have black background instead of the blue. Reference # 758-165-107 © 2000-2019 AutoAnything, Inc.